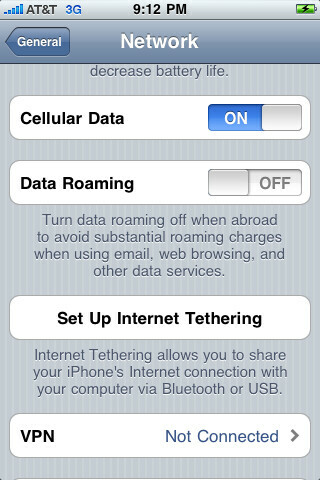 Yes, Apple has just released iPhone OS 4.0 beta 4 and while no changelog was released, it does appear that tethering is an option on the software. And while there is a screen to help you set-up this long awaited feature, it doesn't automatically mean that AT&T is ready to open up its network just yet. After all, as recently as the end of last month, the carrier itself said that it would not allow tethering until it can "deliver excellent performance for the feature-over and above the increases in data traffic that we're already seeing..." So is Apple putting the cart before the horse, or will AT&T fight back against Verizon's free enabling of Mobile HotSpots on its webOS devices by allowing iPhone tethering? We could say that iPhone users should find out soon, but they have already waited for what feels like eternity. 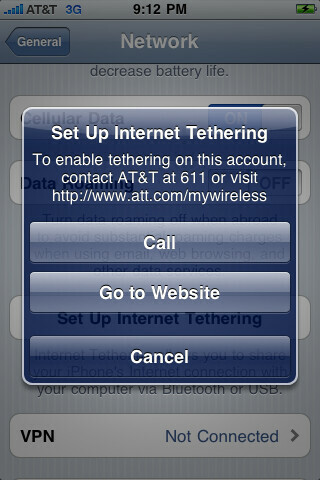 As we reported, with a small percentage of iPhone users accounting for a huge portion of the data moving through the carrier's pipelines, AT&T is worried about what would happen to it's already maligned service if it were to allow tethering for iPhone owners.